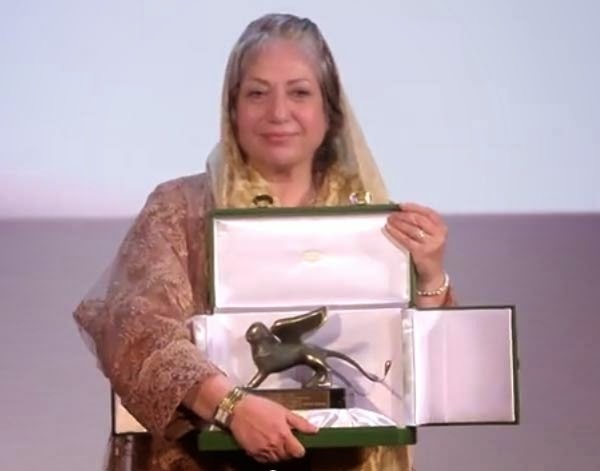 Iranian director Rakhshan Bani-Etemad wins best screenplay award at Venice Film Festival on Saturday. A leading Iranian female filmmaker, Bani-Etemad wins for her film Tales. Photo credit: Rakhshan Bani-Etemad, the winner of best screenplay at Venice Film Festival for Tales.